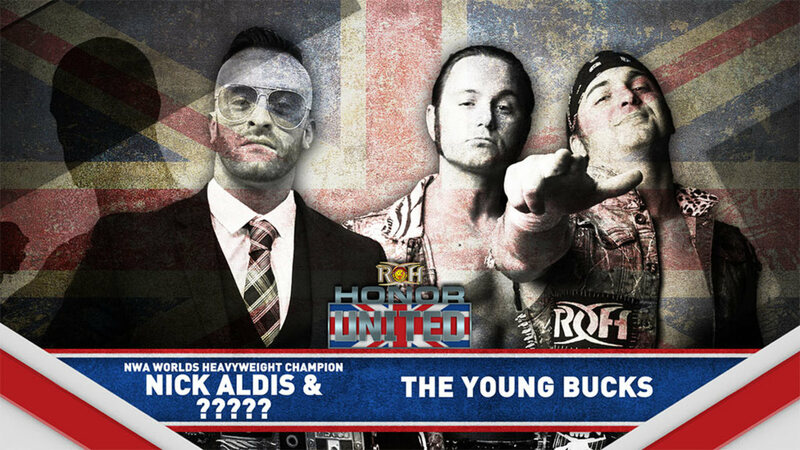 Ahead of a possible title defense against Cody Rhodes at All In, Nick Aldis will be facing The Young Bucks on ROH's Honor United tour. ROH has announced that Aldis, the current NWA Worlds Heavyweight Champion, will be in action at Honor United: Edinburgh on May 24th. The storyline for the match is related to Aldis appearing at All In, with him making it one of the stipulations of him agreeing to defend the title against Cody. Aldis will be teaming with a "partner of ROH's choosing." Billy Corgan represented the NWA at Sunday's All In press conference, where it was announced that Cody would be challenging whoever is NWA Champion on September 1st. This will be Aldis' in-ring debut for ROH, though he was shown in the crowd during Dalton Castle vs. Marty Scurll at Supercard of Honor XII last month. The show in Edinburgh, Scotland is the first stop on the Honor United tour. It will continue in London, England on May 26th and Doncaster, England on the 27th. An ROH World Championship match is set for London, with Castle defending his title against EVIL.